Marco Crane's fleet of Hydraulic Truck cranes are some of the most versatile cranes on the market today. With its high capacity and fast build-up, the hydraulic truck crane is the construction/heavy-lift industry's most rented crane. This crane is a great choice for high duty cycle commercial applications, heavy lifts and has multiple counterweight configurations to fit exactly what the job requires. Hydraulic Truck cranes are able to travel over the highway, eliminating the need to transport the crane. 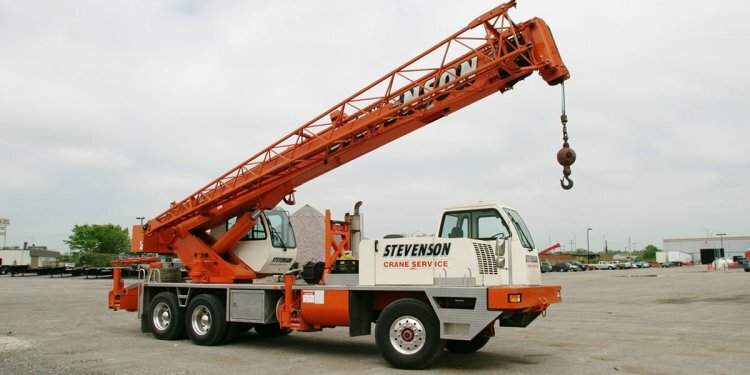 Our Hydraulic Truck cranes have rated lift capacities ranging from 14 to 120 tons and come with multiple jib/fly attachments, allowing us to satisfy all of your lifting needs. Marco Crane has the right Hydraulic Truck crane for any job. We have several Hydraulic Truck Cranes available for rental. Our Hydraulic Truck Cranes are efficient at traveling to and from jobs and can arrive at a job as READY TO WORK!